I had a great experience while participating in Mosaic International Summit in July 2010. 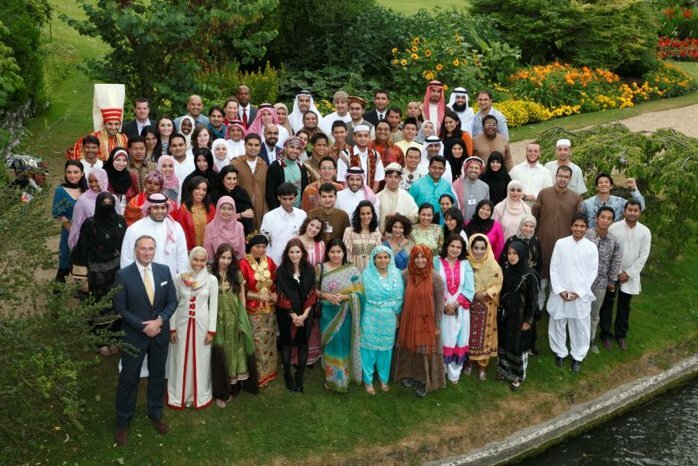 The event was a summer school at Cambridge structured as a leadership training and meet up for 80 young Moslem from 17 countries. I started from my home town, Solok, going to Padang city, the capital of West Sumatera Province. It was an exciting yet tiring journey from Padang to Jakarta, to Abu Dhabi to London Heathrow to Clare College Cambridge. I missed the dinner at The Great Hall but luckily found three Algerian delegates to go to the city center for the dinner. The first night was very special as I watched the Football World Cup final between Spain and Netherlands together with new friends from other parts of the world. I sat with Laila, a lovely Algerian girl. During this first week, activity centered at Clare College, Cambridge. It was a matter that I had never imagined before and fealt lucky making a ‘footprint’ in one of the best universityin the world. I started feeling the atmosphere as a student of this campus while attending lectures and seminars from many speakers from different background. Mosaic team and group leaders gave a warm welcome and orientation the first day. Deputy Vice Chancellor of Cambridge University gave a welcome speech followed by the first session by Farah Pandith, a Muslim American who worked for the U.S. Government. Farah described her experiences as a woman, a Muslim living in US facing challenges and fighting the negative image of the Islamic world. She took it as her responsibility to make a better representation of Muslims. Some words from Farah that impressed me so much: “you’re not failing if you are passionate with what you do!”. The second session was also very inspiring. We were given the opportunity to listen to stories and experiences of leadership and activities of ‘changing world’ by Sir Fazle Hasan Abed, founder of BRAC from Bangladesh. BRAC is one of the largest NGO in the world, which has helped the world community, especially to reduce poverty in Bangladesh. BRACstarted with microfinance activities program, which since it’s founding in 1970, has now been expanded and has a BRAC Bank, BRAC University, and many training institutions that help communities in Bangladesh, and several countries in Asia and Africa. I wish someday I can help people around me to make their life beter and reduce the proverty condition, like what BRAC had done. Amiin. The next day we attended the Leadership Workshop by Stuart Duff and Prof. Binna Kandola, a specialist in leadership development. In this session I was given an understanding of leadership, which does not have any special definition and yet everyone can have a different type of leadership. From the workshop outcomes I learnt a great deal through the material provided in the form of simple theory of how to plan our dreams, build desire and the importance of coaching and mentoring as a control and sharing of ideas and plans for our dreams. In the following days we learnt and discussed global issues, sustainable development and poverty. We were presented about the world conditions today; the world’s poverty as a major problem, environmental problems and possibilities that would occur if precautions are not taken immediately. An important lesson I learnt was the obligation to maintain the world and taking responsibility of all human beings who live on it. An important discussion was on the topic about the values of bringing people and communities together. The point made here is how we are able to overcome the differences that cannot be denied and we will always find. The distinction of being its own value if the community / communities are able to use them to perform together at a common goal. Evenings were spent exploring Cambridge, spending time with delegates in restaurants and punting in River Cam and taking a detailed tour of Cambridge University Library.Allhamdulillah. The Friday evening was one of the best evening in my life. By wearing the national dress of each country shows the world’s diversity and beauty of togetherness. We took a group photo at the bank of River Cam, had a Mosaic collective dinner in The Great Hall and celebrated and reflected on our activities. At the dinner, a friend from Jordan, who socreative and entertaining, sung a song: ‘Different Color, One People’. This song is really a portrait of us who come from different background- different colors, but keep one as aMosaic-ers, as a Muslim and as the inhabitants of the earth. Our second week activities were in small groups and I got a chance to visit Manchester and the world’s Best Football Club, Manchester United. At the evening, we had a great dinner at a Pakistan Restaurant and received a very warm welcome by Mosaic Manchester. Next we visited the Merseyside Fire & Rescue Service in Liverpool where we got an understanding of how the department believed in preventive activities and struggled for it rather than cure. Got a chance to see Manchester Town Hall and meet Lord Mayor of Manchester who was accompanied by Sir Muhammad Afzal Khan, The Lord Mayor at 2005-2006, which is First Muslim who became a Lord Mayor in major city in UK. His leadership experiences were inspiring and an important lesson was: “If you want to change, you also have to be in the circle”. To change a situation, we also have to enter the system too and not just give protest from the outside the system. We also visited Burnley & Pendle Faith Centre where I realized a commitment to mutual acceptance, inclusiveness and respect among them to learn and grow together. They do not force the people to integrate, but rather to appreciate difference and feel the spirit of togetherness. Finally in London we got an opportunity to meet HRH Prince of Wales (Prince Charles), in the VVIP Summit Celebratory Event at Central London. We got a chance to hear him speak and then meet and greet in person with every delegate. On the last day we had a graduation and a lunch and from there I moved out to explore London. We saw the landmarks of one of the famous cities in the world. Buckingham Palace, Bigben, London Eye, London Bridge, Trafalgar Square, Piccadilly Circus, Oxford Street etc. I felt like going back with a plenty of dreams and responsibilities from all the experience and lessons from Mosaic. So many things to do to change the world, I wish I could do a little thing here on my part.